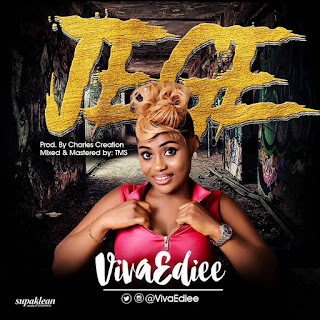 "Jege" by VivaEdiee is the latest effort from the music queen known for good sound. "Jege" is the first single in 2017 from the diva herself. She had this to say about the song "The song is a nice one,& I don't regret making it that way, we ain't perfect yet so we gonna work towards it, it's a hit & I am thankful to God".